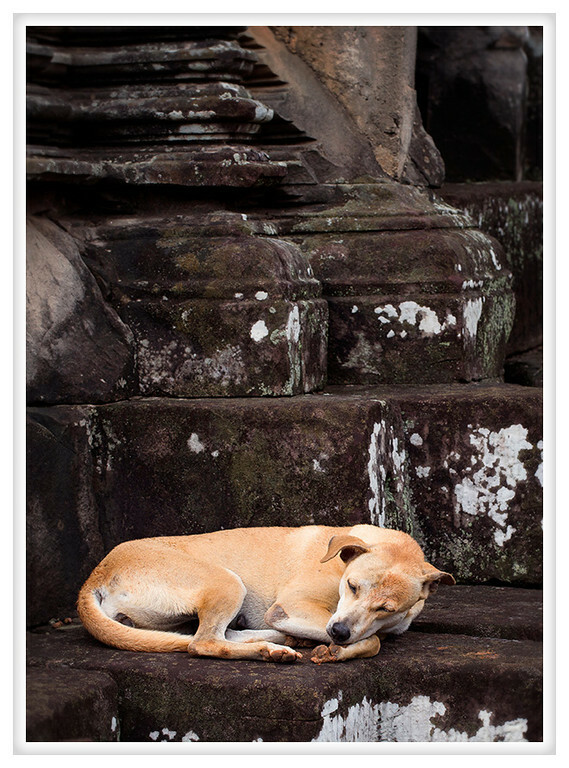 There aren't as many stray dogs in Cambodia as there are in Thailand and I suspect that the answer to the riddle sometimes crops up in the markets. Still, we found a few here and there in the Angkor temple complex. Some were wandering and eating the food left in offers and others, like this pup, were napping in the afternoon shade to avoid the worse of the heat. It has to be a tough life for them but few looked starved or had the mange so common in other parts of Asia.